Did you know you can book the upstairs at Alki for your private event?! Visit this page for more info!! Monday: Kitchen 1130 am to 10 pm. Bar til 12 am. Tuesday: Kitchen 1130 am to 10 pm. Bar til 12 am. Wednesday: Kitchen 1130 am to 10 pm. Bar til 12 am. Thursday: Kitchen 1130 am to 11 pm. Bar til 12 am. Friday: Kitchen 1130 am to 11 pm. Bar til 2 am. *Saturday & Sunday Brunch available downstairs: 11 am – 3 pm. Monday: Kitchen 4 pm to 8 pm. Bar til 10 pm. Tuesday: Kitchen 4 pm to 8 pm. Bar til 10 pm. Wednesday: Kitchen 4 pm to 8 pm. Bar til 10 pm. Thursday: Kitchen 4 pm to 8 pm. Bar til 10 pm. Friday: Kitchen 12 pm to 8 pm. Bar til 10 pm. 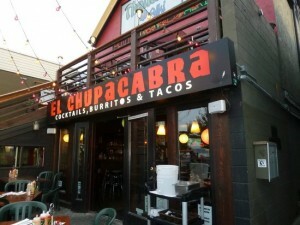 Our West Seattle location opened spring 2011 on Alki right in the thick of all the craziness the beach has to offer. Come by in the winter and watch the seal pups rest on our beach right out front or come on a sunny summer day and people watch. We have a dining section great for anyone under 21 and a bar area for those who are old enough. No dogs on the front patio (You can tie them up outside the patio area.) No Reservations at this location, we do have a private events space for groups up to 50, please visit this page for all the details! All of our locations serve up the same delicious food and drink menus!